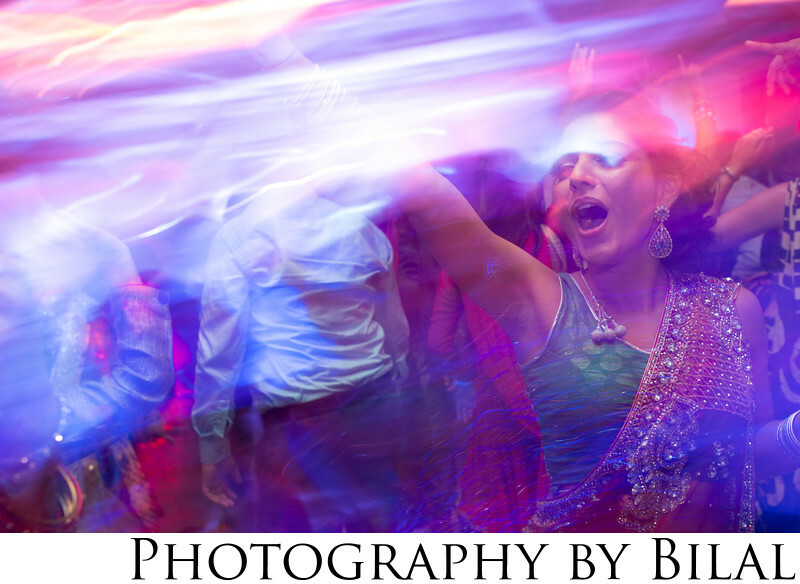 Some of my best wedding reception photos were captured at this wedding. Everyone was having such a good time, and the photos really showed it. I used a slow shutter with rear curtain sync to capture this photo with trailing lights.